Fights germs and bad breath. Tightens gums and strengthens teeth. 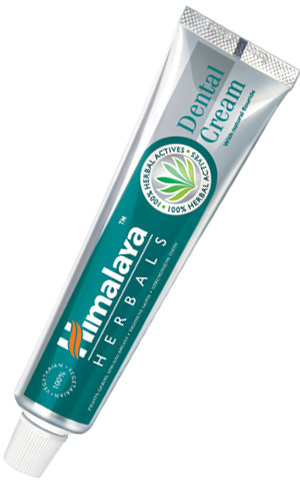 Himalaya Herbals Dental Cream is a unique formulation of natural ingredients that provide complete and lasting protection to your teeth and gums. Neem and Pomegranate help support healthy gums. Combining the best of traditional care with years of scientific research, this product effectively offers the best, natural, daily dental care for the whole family. To be used if you have indications of gingivitis, toothache, bad breath or bleeding gums. Use Himalaya Herbals Dental Cream twice daily with a soft toothbrush.